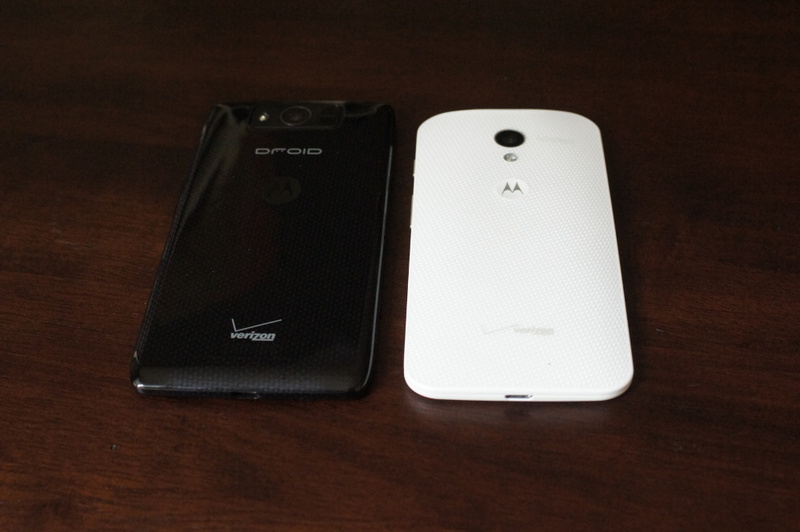 If you are considering a new phone on Verizon, you’ll have so many good options to choose from over the next couple of months. 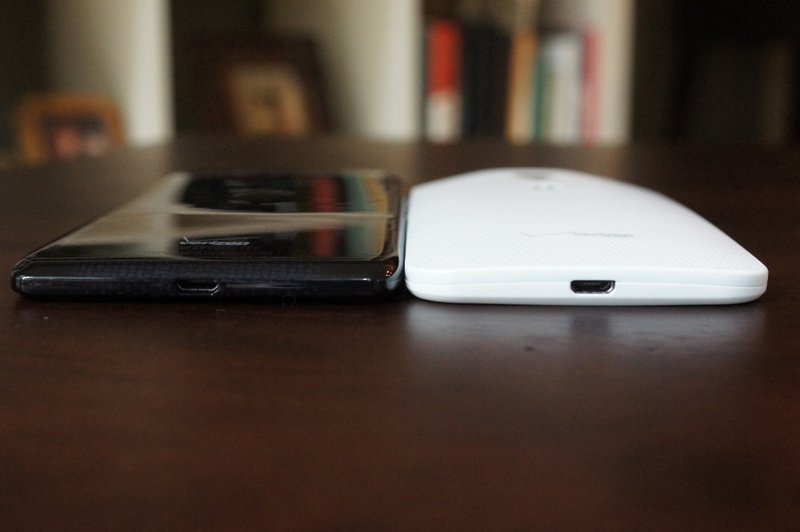 From the new DROIDs to the LG G2 to the Note 3, it’s going to a painful yet exciting decision to have to make. 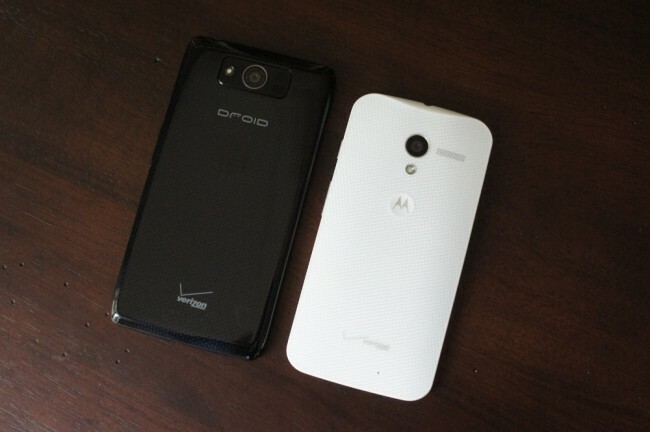 Two of them that we have in house to compare for you today are made by Motorola, though they’ll eventually have four of their own for you to consider. 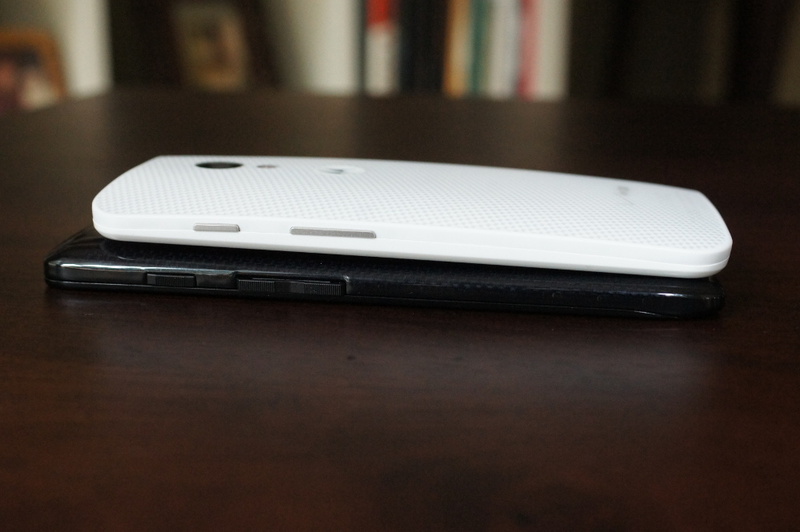 Our unboxing of the recently-acquired DROID ULTRA is already done, so that means it’s time for the heavy lifting to take place, which includes a battle between the newest DROID and Motorola’s other flagship, the Moto X.
I’ll leave most of the comparison talk for the video below, since it’s a solid 15 minutes long and covers it all from the build and design to the software enhancements shared by each. But when you look at these two side-by-side, it’s pretty clear that the differences are dramatic in terms of appearance. 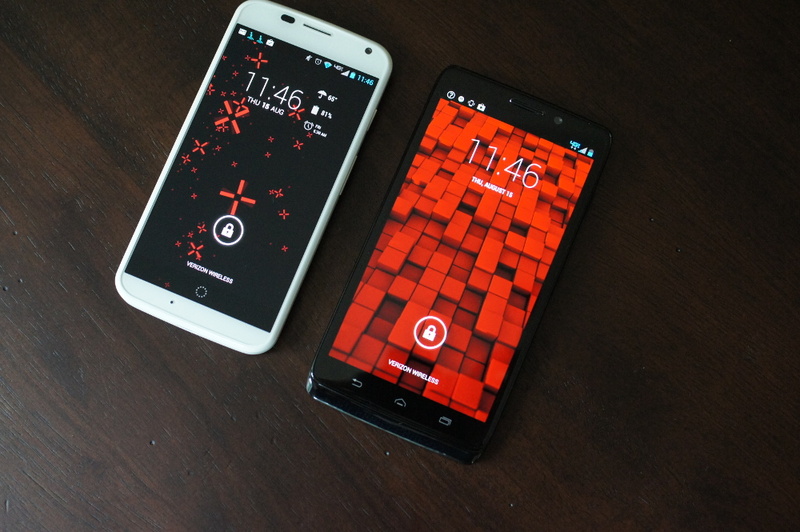 The ULTRA is a big phone, thanks to its 5-inch display and capacitive touch buttons. 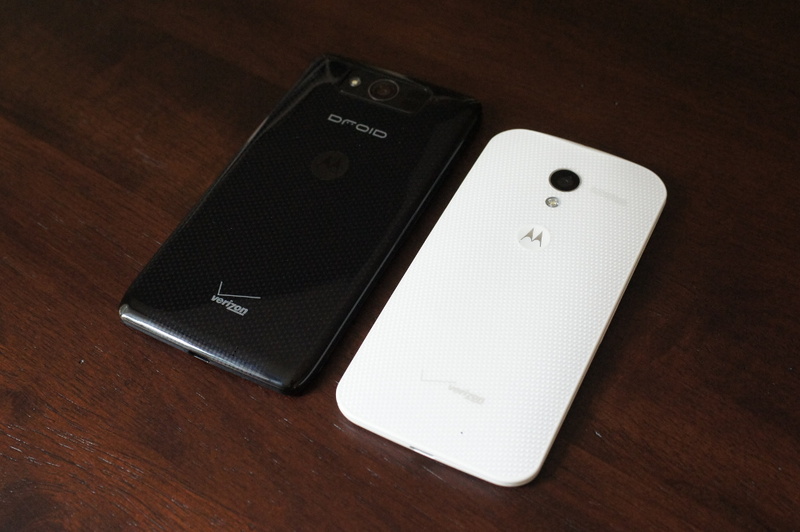 The Moto X is a compact phone that preaches minimalism over shiny gloss and “DROID” branding. 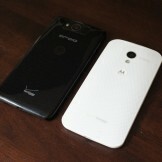 If you didn’t know that they were both made by Motorola, I don’t think you’d guess that they were. So, how to do they compare? 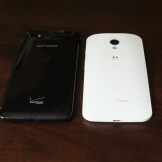 I think you’ll be surprised at how closely the ULTRA matches up. 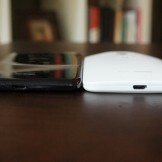 In some aspects, it even bests the Moto X, assuming you are a fan of the design. 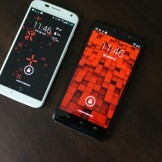 DROID ULTRA Feature Highlight: DROID Zap!